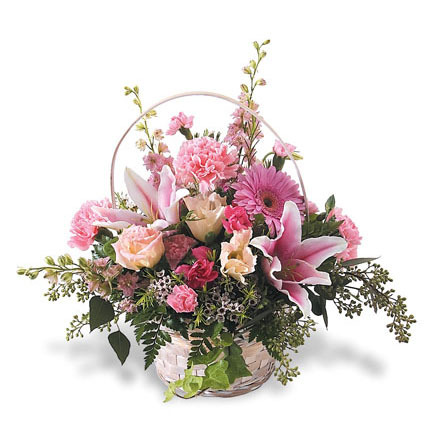 WW-529 You have to agree – this radiates sunshine & smiles! 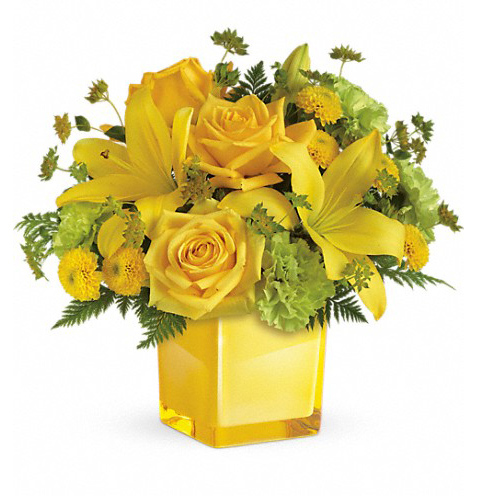 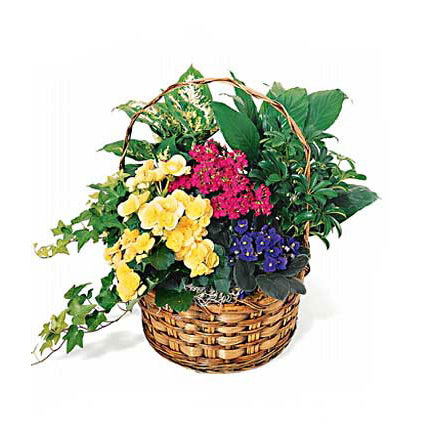 Yellow lilies, roses, and button poms combine with green carnations in a yellow glass cube. 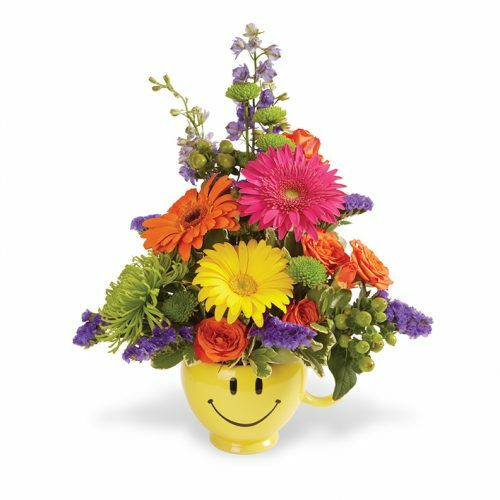 You have to agree – this radiates sunshine & smiles! 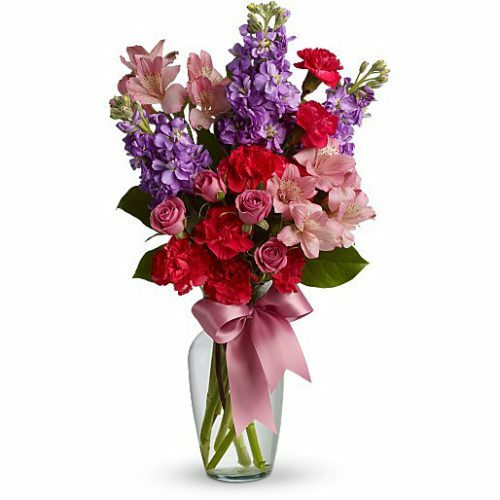 Yellow lilies, roses, and button poms combine with green carnations in a yellow glass cube.